NFU Mutual manages staff Time and Attendance using Bodet's system. For the last 10 years Julian Cutler, Senior Workplace Analyst, has been monitoring its staff time and attendance using Bodet's Kelio Integral system. He told us the benefits of using Bodet's Time and Attendance solution align with the key aims of the company to look after its people and using time efficiently. The flexibility and simplicity of the software were cited by Julian “The system is easy to operate for the administrator and is straightforward to use. The software can be hosted on a standard PC. 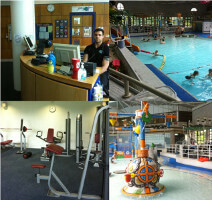 It really helps us that the system can be used for flexible working hours”. 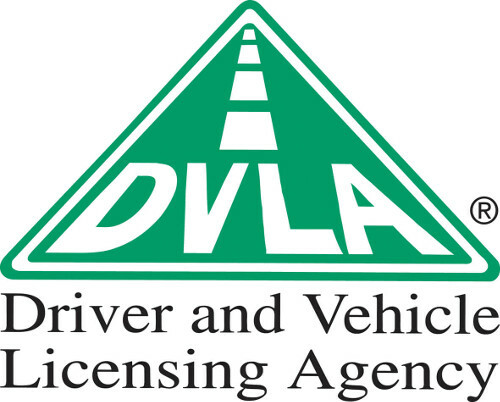 Heulwen Thomas, in charge of coordination at DVLA's head office in Swansea, has explained how the DVLA benefits from using Bodet's Time and Attendance system. "We use Bodet's Time and Attendance solution to export data to excel for payroll. We also use it to manage staff planning including setting up new shifts patterns"
Bodet is providing Time and Attendance and Access Control systems to suit the needs of your organisation with over 20 years of experience. 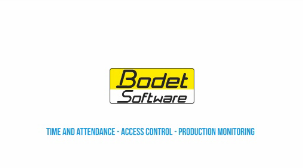 Please have a look at the video presentation of Bodet's software activity. If you want to have more information about our systems, please visit our Time and Attendance Solutions page and Access Control Systems page or contact us. 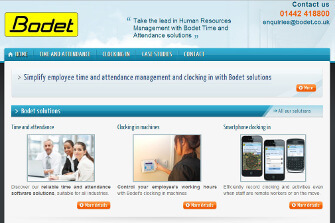 Click on the link to find out more: Solihull Care monitor care staff time and attendance with Bodet system. We have recorded a new range of messages for School Bell Systems and Factory Bell Systems. These messages can be mixed with a melody to announce for example an Evacuation message. If you would like to see all of the messages, please visit our Bell Systems page. FedEx UK, Storm Building & Dynic UK Ltd explain how they manage staff time and attendance using Timebox time recording software in the transport, construction & manufacturing sectors. Timebox is a Time & Attendance Software especially designed for small businesses. 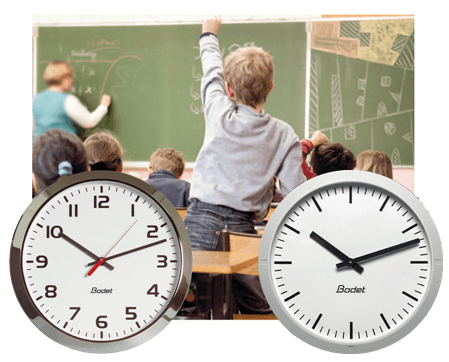 "We have been using Bodet's Timebox system for over 10 years now. It is an easy to use time recording solution. It's very easy to tailor the reports to your needs." 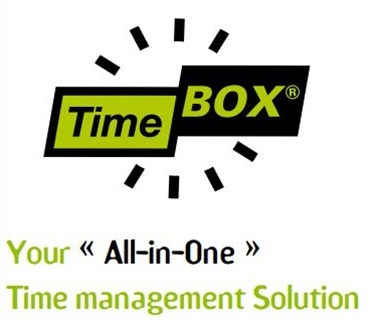 "Timebox is an accurate, straight forward & easy to use clocking in system. It is a very useful tool for the construction sector. It's good that it can be moved from site to site. We can have 50-60 guys on site so keeping an eye on time is essential." "The Timebox biometric solution enables us to avoid using cards for employees. The fingerprint is invaluable. The software is easy to use and employees get used to it very quickly. The system is working well and is really helpful." If you would like more information, please visit our page dedicated to Timebox - Time Recording Software or call us on 01442 418 800. To discover more advanced time recording solution, please contact us or visit our Time and Attendance Software page.